With an infinite range of website design options and a large number of web development platforms it’s no wonder that the average business struggles to make the right decision for the right website. 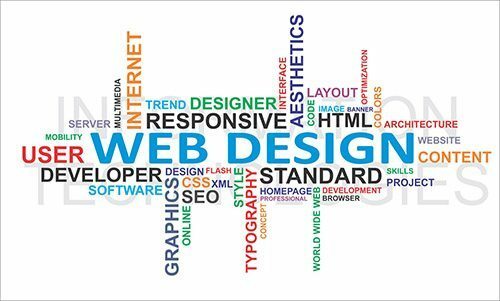 The right website design is paramount to establishing your business identity online because it governs how prospective customers will judge you when they visit your website. And when prospective customers visit your website what then? Do they have a little look around and leave or are there marketing mechanisms built into your website which encourage customers to engage with you whether by buying or at least seeking more information about your product or service. Of course there is always costs to consider. How much can you afford to pay for your website and how do you maximise the value you get for your investment. At No BS SEO we have been building websites for over 10 years. We know how to deliver the maximum bang for your website buck and we are fully transparent with our fees and costs. Our websites are SEO and SEM friendly? At NoBSSEO we use the 2 of the best known and most reliable website platforms in the world. WordPress and Big Commerce. We use one of the 3 most secure and trusted hosting companies in Australia and we never outsource our work to overseas sweat-shops. Our work is done in-house by our people and under the supervision of highly experienced web developers and seo experts. We ALWAYS assume that our clients want to be easily found on Google, Bing and the minor search engines for the appropriate keywords and search terms so we build seo features into each website from the start. We also build in features which encourage people to engage with the website whether by buying online or seeking more information on a product or service. Are you opening an online store? Well if you are, happy days. No BS SEO are accredited partners with Big Commerce, arguably the world’s most Google friendly AND user friendly E-Commerce platform. We love BigCommerce for many reasons not the least of which is the ease our clients have of being able to add / edit / delete products, prices and descriptions after just one free training course with us. Use the form below to contact us about an online store or call us during Sydney business hours on 02 8006 2994. How much do we charge for a website? At the time this content was updated (22-2/2015) there were 73 platforms offering FREE WEBSITES. So I guess as a web development company we should be pretty worried right? Not in the slightest. Much of our work comes from businesses who decided to build their own website only to realise they were embarrassing themselves online by putting forward an amateurish portrayal of their business. The old saying that first impressions are the most important will almost always come back to bite the website “do it yourselfers”. Our fees are very reasonable and more than competitive. We will provide you with a fixed quote upfront itemising all the inclusions of the website. Our quotes are free and come with no obligation whatsoever. All you need do is answer a few easy questions below and submit your enquiry safely and securely online. Or if you prefer call us during business hours on 02 8006 2994.